This week I sat down with freshman cross country runner Mik Patel. In the past few weeks, Mik has been having some strong showings in his first year. The cross country team has big goals this season, winning conference is just within reach, and Mik is looking forward to seeing where his team will go. Arianna Cohen: Where are you from? What initially drew you to Lawrence? 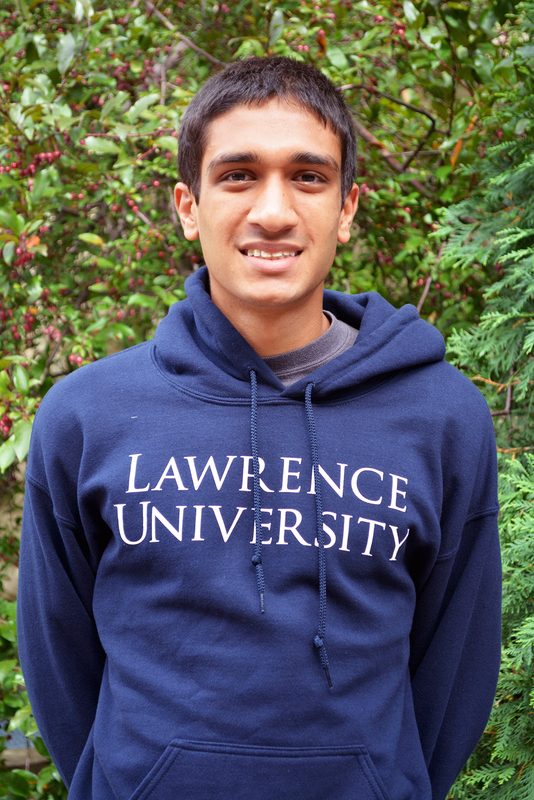 Mik Patel: I am from Delevan, Wis. What drew me to Lawrence was I had a chemistry teacher [in high school] that first showed me Lawrence and she said it would be a good fit, and it turned out to be the perfect fit for me. AC: What is it like preparing for a race? What do you focus on? MP: When it comes to prepping for a race, I do the exact opposite of what people do normally. I usually relax and listen to calm music. AC: What, so far, has been your favorite part of your experience on the cross country team? MP: I love being part of a team that has a common goal. Our goal is something big, were looking to win conference. That’s something really new to me and its very nice. AC: What is something you look forward to in your next four years as a cross country runner? MP: I’m looking for progression. I want to see myself and the team grow. AC: How different does competing at Lawrence feel from competing in high school? MP: In high school, I wasn’t very big into cross country, once I came here, my teammates and my coach really got me further into the sport. MP: They are very supportive. Any of my questions, any of my needs, they are willing to help me and it has really made a big difference.